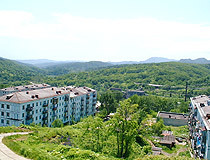 The capital city of Sakhalin oblast: Yuzhno-Sakhalinsk. Sakhalin oblast (Sakhalinskaya) is one of the most eastern regions of Russia and the only region completely located on islands (Sakhalin Island and the Kuril Islands), part of the Far Eastern Federal District. 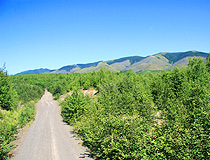 Yuzhno-Sakhalinsk is the capital city of the region. 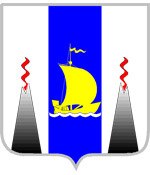 The population of Sakhalin oblast is about 486,000 (2015), the area - 87,101 sq. km. 12 September, 2015 / Abandoned tanks on Shikotan Island. 17 December, 2011 / The oil drilling platform "Kolskaya" capsized on Sunday, about 200 kilometers off the coast of Sakhalin. According to recent data, there were 67 people on board. Currently, 14 people were rescued. The first people came to Sakhalin Island approximately 250-300 thousand years ago. The modern history of the region began in the 17th century, when the first Russian explorers came to the Pacific coast. The south of Sakhalin and the Kuril Islands were inhabited by Ainu, the north of Sakhalin was inhabited by Nivkh. In 1644, the first map of Sakhalin and the Kuril Islands was compiled. In 1689, the peace treaty between the Russian kingdom and China was signed in Nerchinsk. For the first time it defined the boundary between the two states. 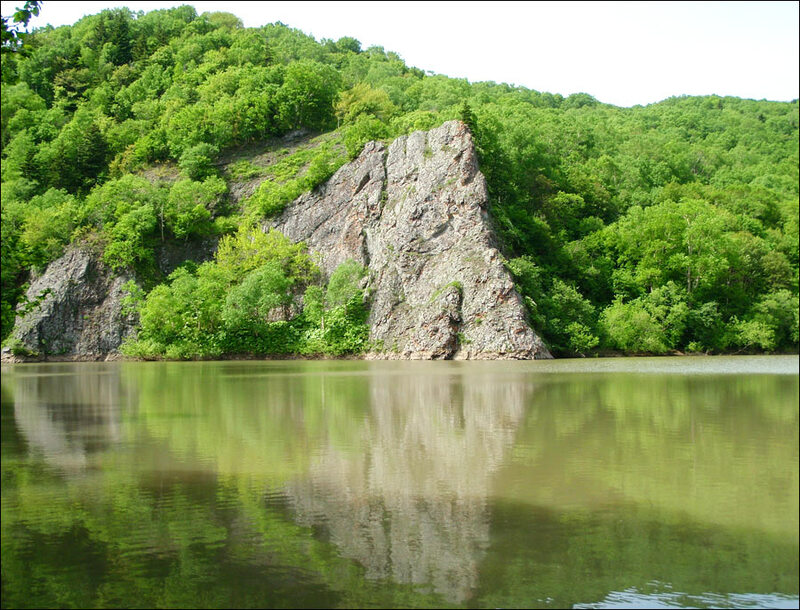 Russia had to leave the Amur region for almost a century and a half. As a result, Sakhalin was beyond Russian influence for a long time. In the mid-18th century, the Manchus troops landed on Sakhalin. The population of the island became dependent on China. In 1806-1807, the first Russian-Japanese armed conflict took place in the southern Sakhalin and the Kuril Islands. October 20, 1806, N.A.Khvostov declared Sakhalin the Russian territory. 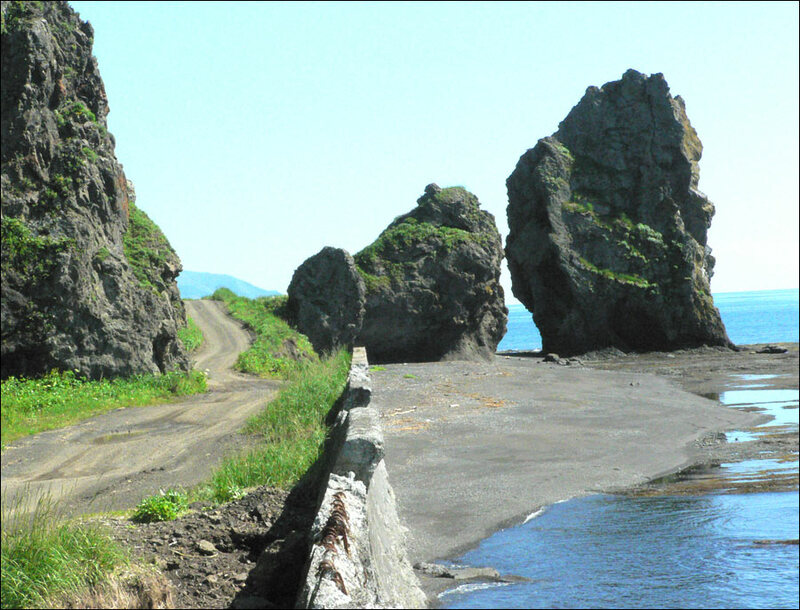 In 1808, the Japanese restored ruined settlements in Sakhalin and Iturup. In 1811, the Japanese garrison of the island of Kunashir took the Russian navigator V.M.Golovnin prisoner. He spent over 2 years in Japanese prison and was set free only after the Russian administration declared that N.A.Khvostov’s attacks were not legal. In 1850, G.I.Nevelsky raised the Russian flag in the lower Amur and declared it and Sakhalin the Russian territory. In 1855, the first Russian-Japanese treaty was signed in the town of Simoda. Simoda Treaty stated that the boundary between Russia and Japan was to be between the islands of Urup and Iturup. Sakhalin remained a co-ownership between the two countries. In 1858, the first exiles were brought to Sakhalin. In 1869, Sakhalin was officially declared as a place of exile and a prison. In 1875, another Russian-Japanese treaty was signed in St. Petersburg. According to it, Japan renounced its rights to Sakhalin and received the Kuril Islands in return. In June-July, 1905, the Japanese troops occupied Sakhalin. September 5, 1905, after the defeat of the Russian Empire during the Russian-Japanese War, a peace treaty was signed in Portsmouth (USA), according to which the southern part of Sakhalin became part of the Empire of Japan. In 1906, the Russian government cancelled exile and prison on Sakhalin. In 1907, the Japan government formed a governorship Karafuto on the territory of the southern Sakhalin. May 9, 1920, the Soviet power was declared in the northern Sakhalin. April 22, 1920, about 2,000 Japanese soldiers landed in Alexandrovsk and seized power in the north of the island. This was followed by arrests and murders of supporters of the Soviet regime. January 20, 1925, the “Convention on principal rules of the USSR and Japan interrelations” was signed in Beijing. It returned the northern Sakhalin to the USSR. April 13, 1941, the Soviet-Japanese Neutrality Pact was signed. February 11, 1945, in Yalta, Stalin, Roosevelt and Churchill signed an agreement on conditions of the USSR entering the war against Japan. One of the conditions was the transfer of the southern Sakhalin and the Kuril Islands under the jurisdiction of the USSR. August 8, 1945, the USSR declared war on Japan. August 11-25, 1945, there were clashes in the southern Sakhalin. February 2, 1946, the southern Sakhalin and the Kuril Islands were declared the territory of the USSR. At the same time, Yuzhno-Sakhalinskaya oblast was formed on the territory of southern Sakhalin and the Kuril Islands. A new region became part of Khabarovsk krai. In 1946-1948, the Japanese population of the southern Sakhalin and the Kuril Islands was repatriated. September 8, 1951, a peace treaty with Japan was to be signed in San-Francisco. According to it, Japan renounced all rights and claims to the southern Sakhalin and the Kuril Islands. But the treaty didn’t say anything about whom these territories should belong. The Soviet delegation didn’t sign the treaty. October 19, 1956, the Soviet-Japanese declaration was signed in Moscow. It stated the end of the war between the USSR and Japan. The article #9 of the declaration implied negotiations on the peace treaty and included the consent of the Soviet Union to return Japan the islands of Khabomai and Shikotan after signing the agreement. In 1960, the Soviet government refused to fulfill the obligations of the article #9 of the Moscow agreement. September 1, 1983, a jet fighter of the Soviet Air Force shot down a South Korean passenger Boeing that entered Soviet airspace over the territory of Sakhalin, 269 passengers died. Today, the peace treaty between Russia and Japan is still not signed. This territorial issue remains the major problem in relations between Russia and Japan to this day. Sakhalin oblast is the only region in Russia, which is located on islands. 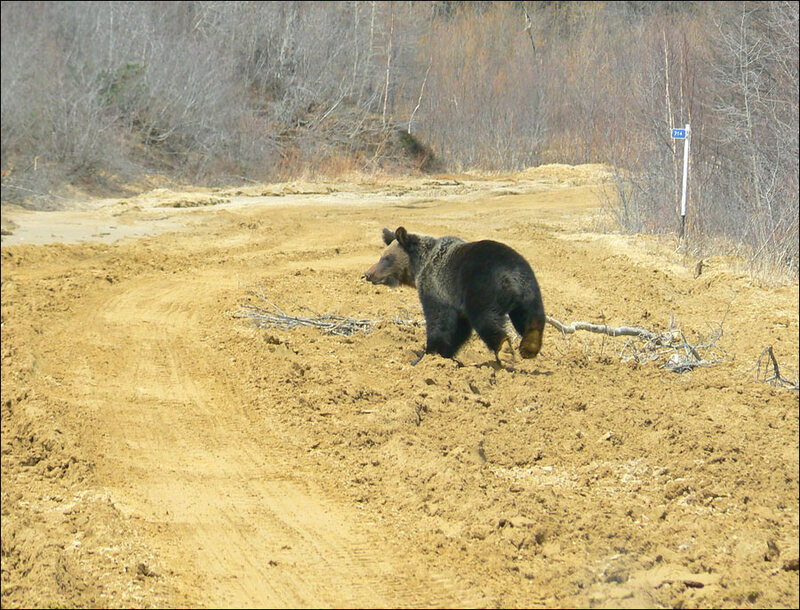 It includes Sakhalin Island (76,600 sq. km.) with the neighboring small islands of Moneron and Tyuleniy, as well as the Kuril Islands (10,500 sq. km.). Sakhalin is one of the largest islands in Russia, which stretches for 948 km from north to south. It is separated from the mainland by Tatar Strait, the width at the narrowest point, between the capes of Pogibi and Lazarev, is about 7 kilometers. 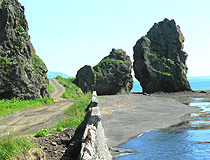 The archipelago of the Kuril Islands stretches for 1,200 kilometers from north to south, between Kamchatka and Hokkaido. 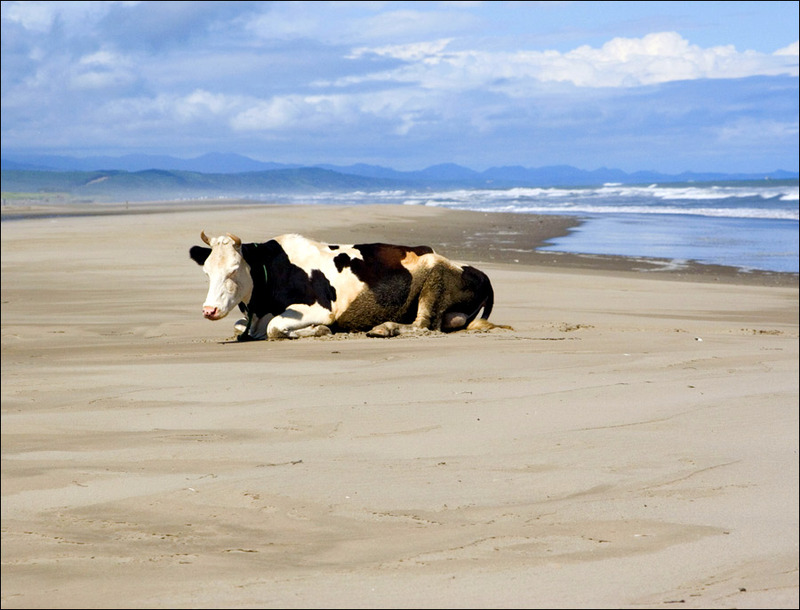 The region is washed by the Sea of Okhotsk, the Sea of Japan and the Pacific Ocean. The unique geographical location of Sakhalin favors the development of international relations. The climate is temperate, monsoon. The average temperature in January ranges from minus 6 (in the south) to minus 24 (in the north) degrees Celsius, in August - from plus 19 to 10 degrees Celsius respectively. The main feature of the local nature is high seismic and volcanic activity. This is especially true for the Kuril Islands where there are 9 active volcanoes and earthquakes occur quite often. 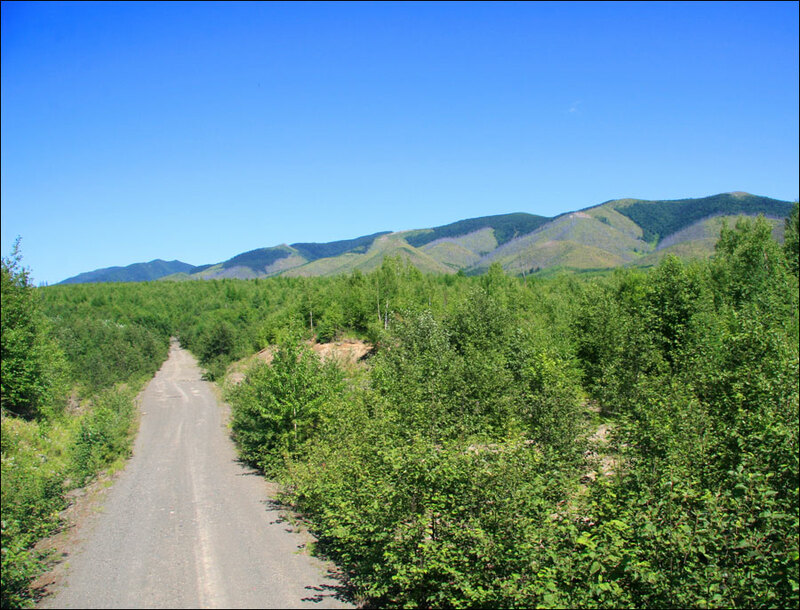 Sakhalin oblast is a place that combines a great raw materials potential with extreme conditions of its developing. In addition to biological resources provided by the seas, the region has large reserves of hydrocarbons. 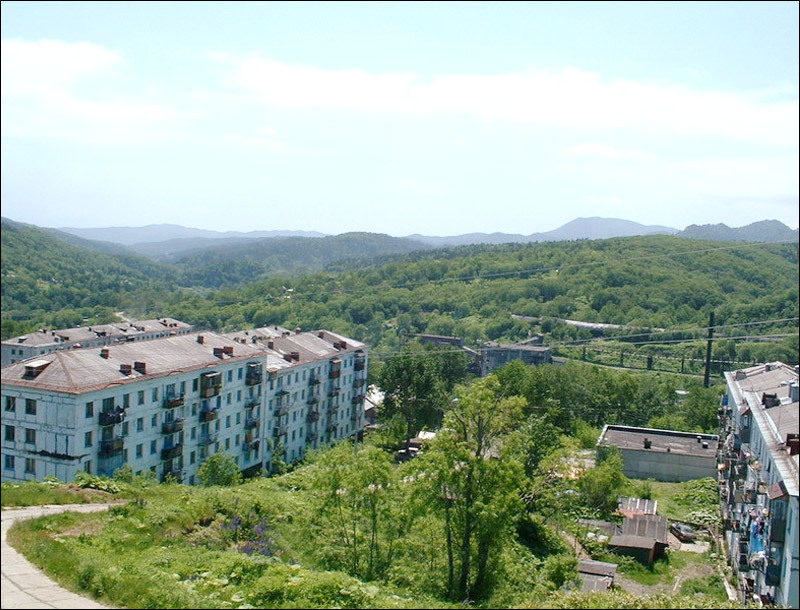 The local population is not numerous, the infrastructure is not developed, except for Sakhalin. There is no stable year-round transport communication between different parts of the region (islands). Sakhalin is specialized in fishery and its processing, forest and wood processing, pulp and paper industries. Oil, natural gas and coal are extracted here. It is the only region in Russia producing agar (also known as agar-agar) - a gelatinous substance obtained from seaweed. 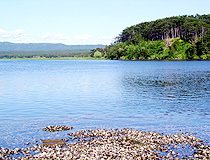 Sakhalin is the third-largest producer of fish products in the Russian Far East. Seafood and timber are exported mainly to Japan, as well as to other Asia-Pacific countries. 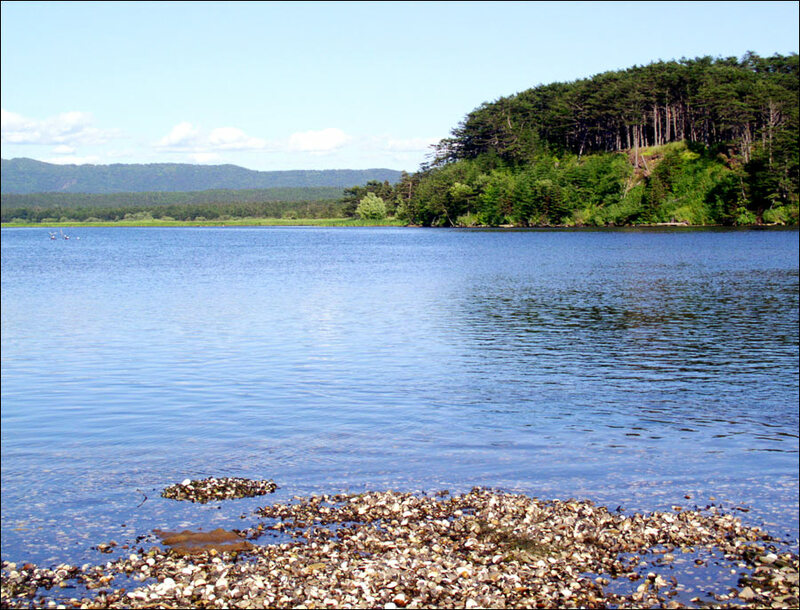 Sakhalin oblast has great potential for tourism development. 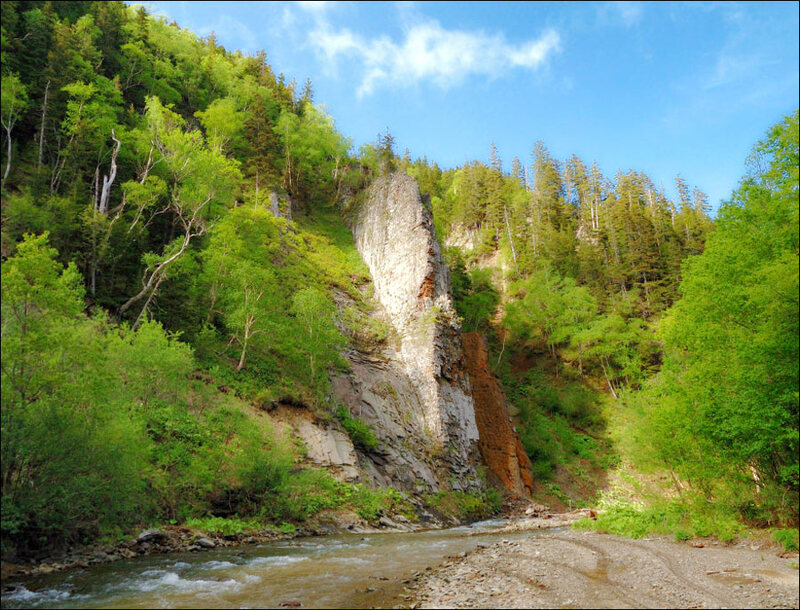 Nature of Sakhalin is unique and beautiful. There are spa and thermal springs, deposits of curing mud, over 1,000 cultural and historical objects, volcanoes, waterfalls, monuments of archaeology, sites connected with culture of the natives. The main tourism activities include rafting, climbing in the mountains (in particular Chekhov peak), hiking, snowboarding, skiing, cycling, caving, paragliding, windsurfing, year-round fishing, sea kayaking, scuba diving, ice climbing, kite surfing. “Iljya Muromets”, the highest waterfall in Russia (141 meters), is located on Iturup Island, part of the Kuril Islands. 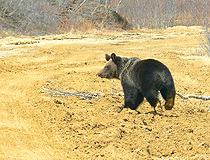 Tyuleny Island, located east of Sakhalin, is a unique nature reserve with a rookery of fur seals. Today, about 85-95% of foreign tourists come from Japan. 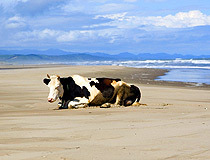 They are interested in sightseeing and educational, environmental, fishing and nostalgic tourism.